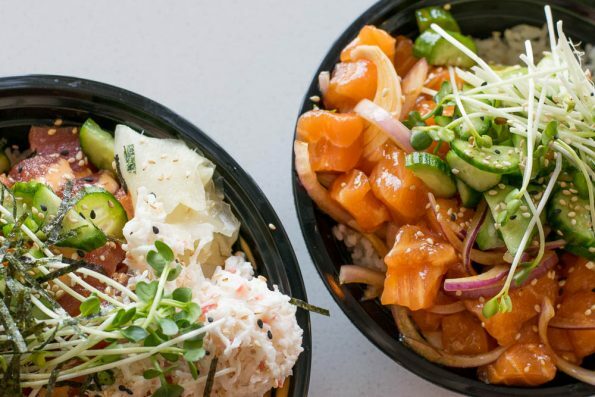 One of the hottest food trends right now is Poke (pronounced Po-kay). Poke is a type of fish salad that began with fishermen seasoning the cut-offs to serve as a snack. Traditional seasonings have been heavily influenced by Japanese and other Asian cuisines. Usually you see seasonings like sesame oil, nori, furikake, and the like. Ahipoki Bowl– One of our favorite fast casual options, Ahipoki Bowl allows diners to create their own work of art. They even have 8 different types of fish/seafood you can select to make your bowl. Another great feature is that you can choose your base so if you are being a bit more health conscious you can have your poke on a salad instead of rice. 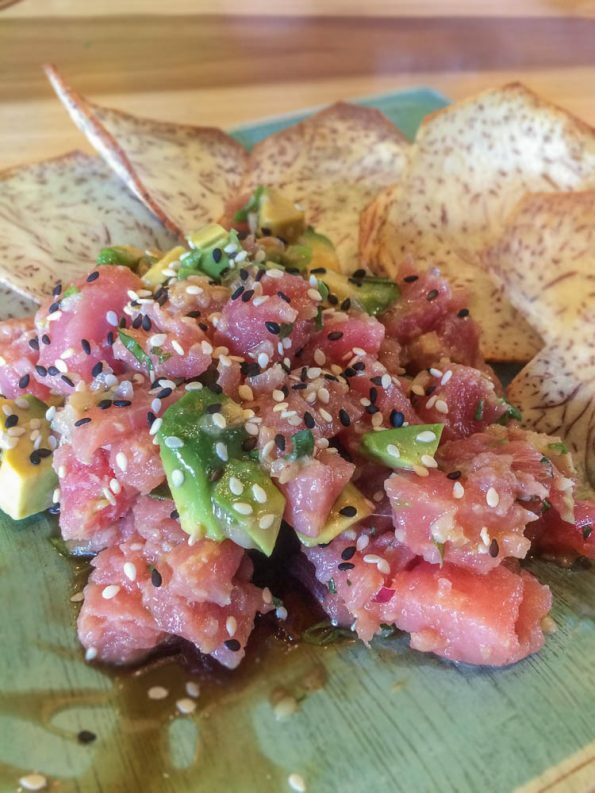 Coconut’s Fish Cafe– We recently visited Coconut’s Fish Cafe and were thoroughly impressed with their poke. It is marinated with soy, garlic and green onions and also has avocado and mango. The poke at Coconut’s is very traditional in its flavor. The uniqueness of Coconut’s poke is that is paired with taro chips (which are delicious). It is served as an appetizer but could easily be a light lunch. 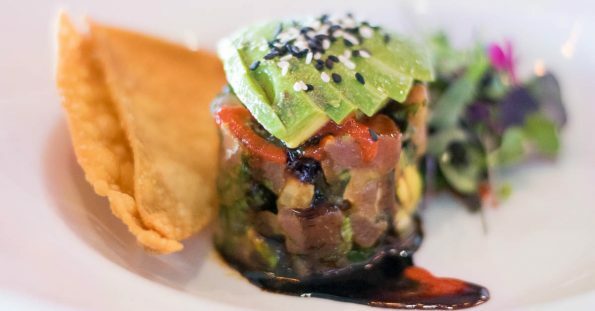 Social Tap Scottsdale- Social Tap’s version is made up of Ahi Tuna, cucumber, cilantro, green onion and an Asian marinade that contains sesame oil, house made teriyaki, cilantro and lime juice. We love the fact that their take on this delicious dish is a bit spicier than you might typically find. Market Street Kitchen– Market Street Kitchen recently started doing Tiki Thursdays and lucky for us, they added poke to their Tiki Thursday menu! 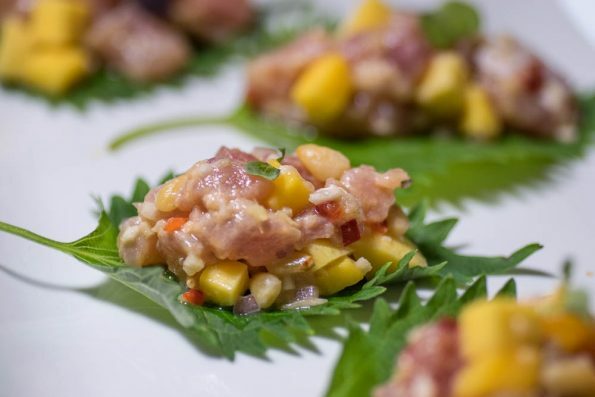 Their version is made with yellowfin tuna, mango, fresno chile, and shiso leaf. These perfect little bites pair perfectly with a tiki drink! Where in the Valley do you enjoy getting poke? How do you make your bowls at Ahipoki Bowl? Do you like traditional tuna or prefer salmon? We will likely do a follow up to this as we try future spots and would love to try your favorite! Leave a comment below of use the hashtag #GeekEats.